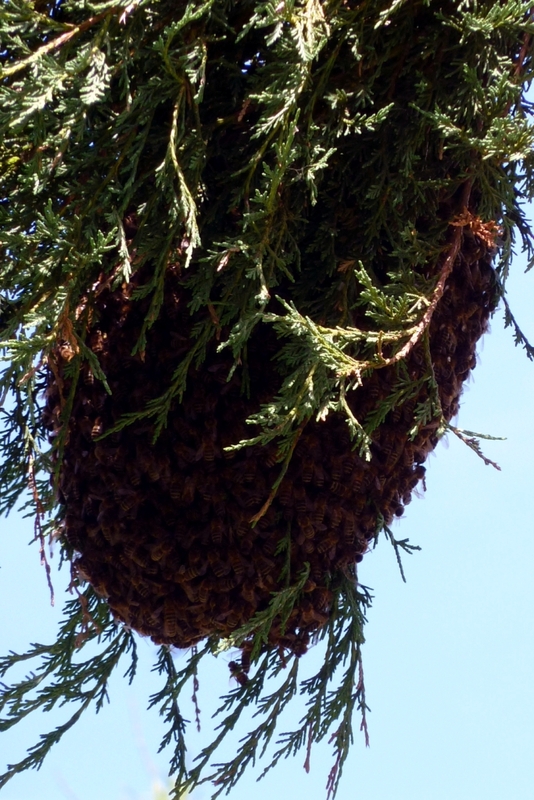 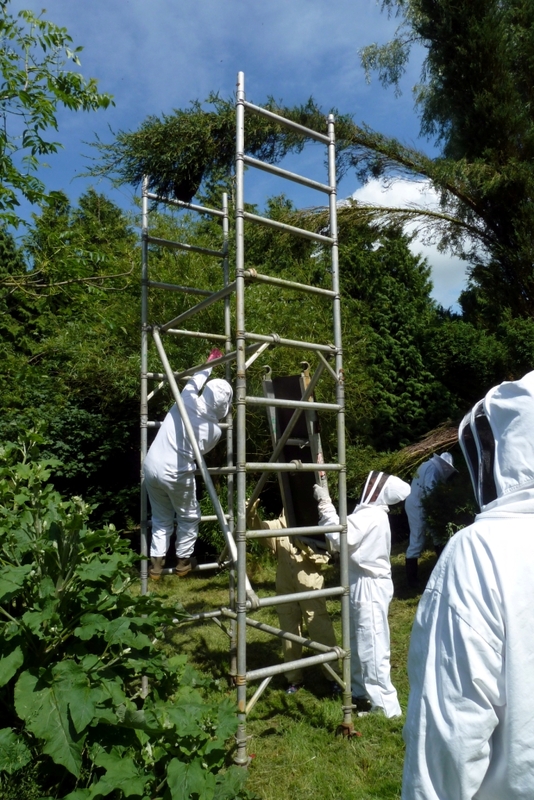 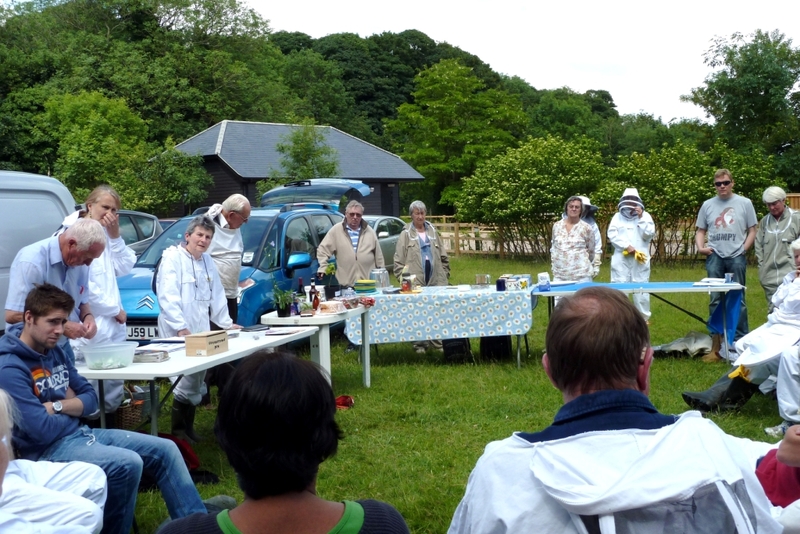 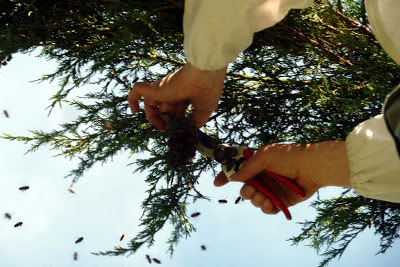 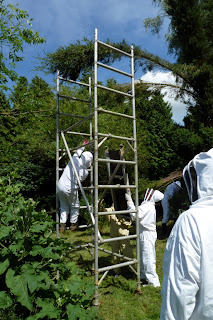 At today's meeting, two very unusual things occurred: the bees were tetchy and more than one of us got stung, and there was a swarm to be collected in one of the conifers. 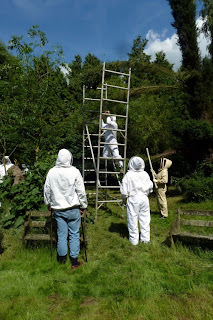 Miraculously, Clive produced a zip-up tower and the task of capturing our escapees began. 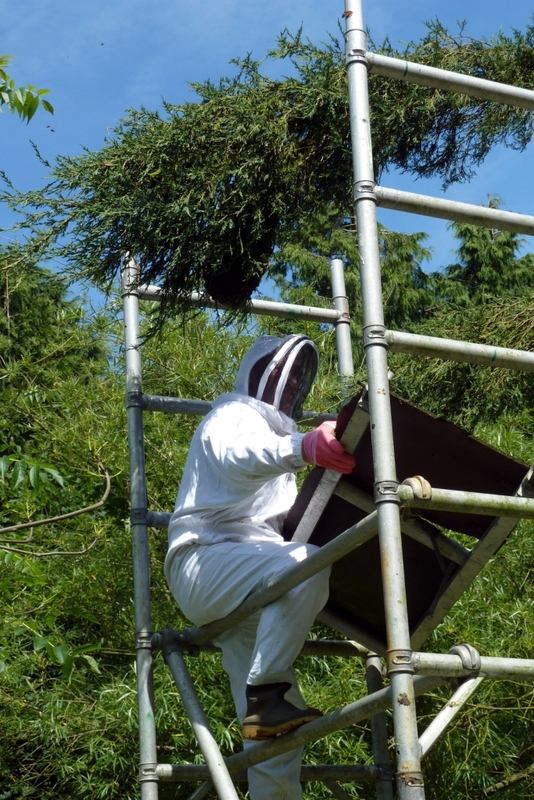 After the main cluster was safely in the basket, David went up the tower to retrieve the remaining clusters to speed up re-uniting the colony. 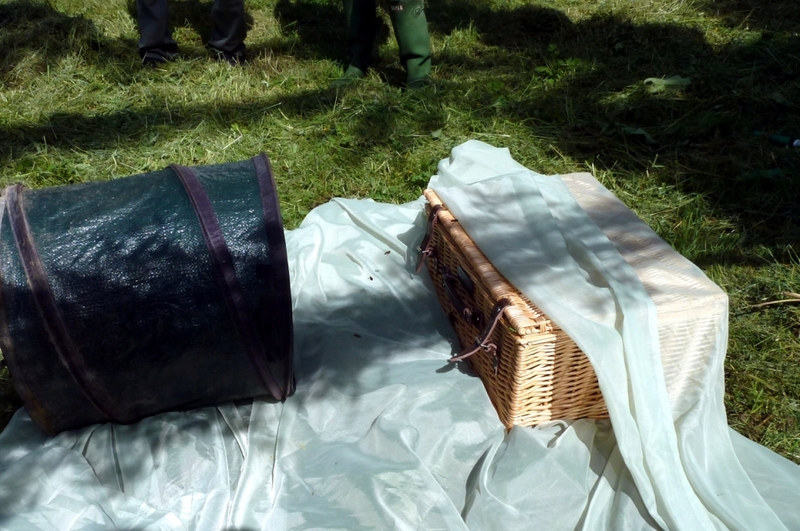 Then there was nothing to do but wait until all the bees were safely in the basket before wrapping it up and taking them to be hived.